Cross-Docking - What Is Cross-Docking? How Does It Work? Home / Blog / What Is Cross-Docking? How Does Cross-Docking Work? Supply chain management is all about the flow of materials. Cross-docking is a practice that takes place at a distribution center. This is the process of unloading materials from an incoming method of transportation and loading them directly into an outbound one requiring little or no storage in between. This is usually done to sort material intended for different destinations or to combine material from different origins that are going to a similar destination. This eliminates the need to stock at the warehouse saving resources at the warehouse like labor, space, equipment and technology resources by simplifying the process. Warehouse operations become more efficient through the cross-docking process since the material does not have to be stored at the warehouse and moves directly from the receiving docks to the shipping docks or staging areas. Inventory management becomes more efficient as the inventory moves directly from the receiving to the shipping docks eliminating the need to store the materials thus reducing the total system inventory in the supply chain process. 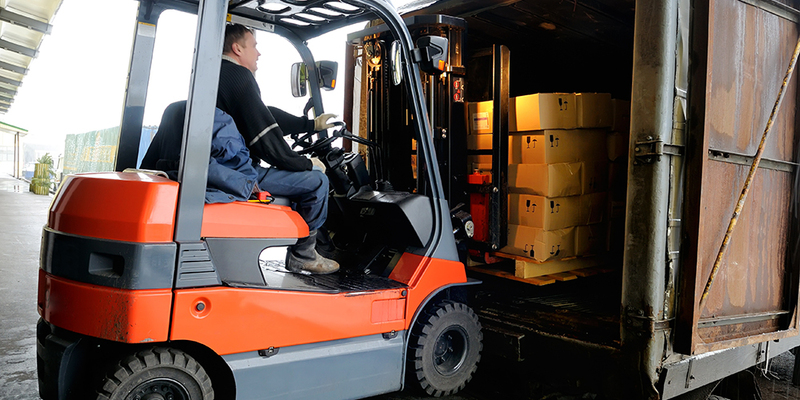 Variations of cross-docking methods can be leveraged to yield different advantages. In planned cross-docking specific product is chosen with like characteristics such as those with consistent demand that maintain a stabilized flow based on sales history, averages and speed of movement. If the demand is higher, a direct to store distribution strategy may be more appropriate. If the demand is lower or fluctuates often, stocking at distribution centers may be required to better meet service levels. This process is conducive to items that require staging, pallet-breaking and re-packing which some products may not have the physical characteristics to meet. An ad hoc process like opportunistic cross-docking takes uses real time information exchanges across various distribution and fulfillment systems. This process identifies when an inbound shipment or a partial shipment can be used to fulfill an outstanding order by directly routing the inbound merchandise to the staging or shipping docks for an outbound order. It typically does not require any break pallet or other similar intermediate tasks. It is simpler to implement than planned cross-docking by only requiring that the warehouse has real time visibility in all requirements, ongoing shipping, receiving activities and yard inventory and are able to react to this information dynamically. The possible disadvantage is that this type of cross-docking may not provide a significant reduction of inventory but it is applicable across most products. A planned cross docking strategy needs a large number of dock doors and large areas allocated for staging, a flexible yard management process and visibility into the inventory along with enough staff to manage the trailer between these two areas. Safety stocks at the stores may need to be adjusted and the frequency of order sizes that may result in more frequent shipments to stores. Working closely with suppliers to ensure a smooth transition is important. An automated warehousing system will increase efficiencies and reduce errors. Inventory planning systems that can compute optimal inventory levels can help guarantee service levels. Original allocations should be able to be reviewed again at the time of receiving the merchandise so retailers can react to any last minute demand changes. Systems should be able to re-allocate merchandise on demand. Make sure the system can track shipments as they move and allow changes by users if required. If a planned strategy, also referred to as a flow through strategy makes the most sense for your company, make sure that everyone in your distribution network is clear on what needs to happen to implement this strategy or to changeover from a current system. This will ensure the process flows smoothly and that customer service is not affected during the process. Original article is on the cross-docking services page.